The Three Muses asked for castles and I decided to play a little bit with Disney's World. Why not a Glass Castle to Ariel? 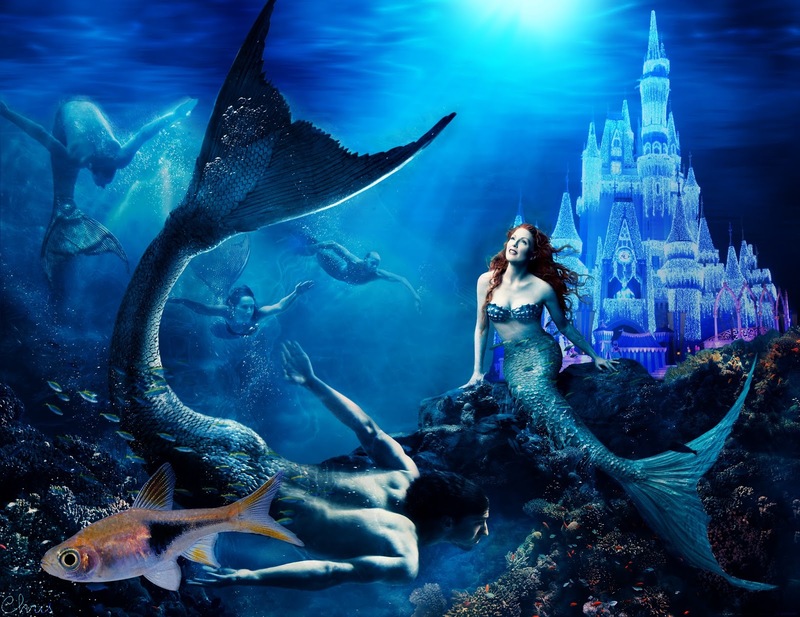 Main Photo by Annie Leibowitz with Julianne Moore and Michael Phelps; castle: Cinderella's castle in Disney World; fish in the foreground: AbsurdWorldPreferred; there are also a background and a texture from my stash. Beautiful picture :) I love it! Oh yes, I love where you went with this one, Chris. Amazing artwork, my friend. Oh wow this is spectacular I love it. Gorgeous, Christine. Love blue and your piece is so beautiful. An under-water-castle, what a genious idea! This is exquisite, Christine. It's so good to see you and your beautiful artwork in the challenges. We miss you when you're away.